The Maskilim tried to harmonize the adherence to the Jewish religion and tradition with integration into the European societies. A result of the economic, social, and cultural change in the 18th century, the Haskalah emerged as the movement that brought the European Enlightenment to the Jewish world. Its supporters, the so-called Maskilim, were active in various fields: in philosophy, education, culture, economics, politics and, last but not least, religion. Transformation reached the individual European Jewish communities at various times and in various ways. The movement began in Western Europe, pioneered by the Berlin philosopher Moses Mendelssohn. It spread eastwards to Galicia and was developed further in Russia. Supported by a few Christian thinkers, and encouraged by “Enlightened despots” who wanted to assimilate their minority populations, the Maskilim tried, until the late 19th century, to harmonize the adherence to the Jewish religion and tradition with integration into the European societies. During the 18th century traditional Jewish society underwent a cultural crisis because of a process of fragmentation, the main symptom of which was the decline of rabbinical authority. 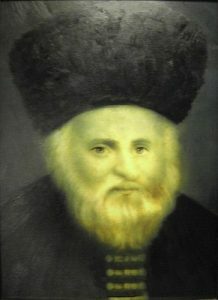 The attempt to find an answer to this crisis led to the formation of various competing movements: Haskalah, Hasidism, the traditionalism of the followers of Rabbi Elijah ben Shlomo (1720–1797), the Gaon of Vilnius (which were called the Mitnaggedim or “opponents” [of Hasidism]). The interaction of these movements must be regarded as the main phenomenon of Jewish modernity. The Haskalah – literally “education” (the root word is related to the Hebrew “s-k-l”, which means “to act with understanding”) – marks a turning point in Jewish history whose effects, in a second and more diverse stage, extended into Eastern Europe, far beyond its spiritual birthplace in Prussia. If the Berlin philosopher Moses Mendelssohn (1729–1786), who translated the Pentateuch, the five books of Moses, into German, pioneered the movement, the legal framework began in France with the contemporary European process of Emancipation: On 27 September 1791 the Assemblée constituante granted Jews full citizenship. Naturally, the world of the Ashkenazim, united by traditional ways of life and customs which structured space and lent a unique rhythm to the passing of time, continued to exist1 so that, for a part of the Jewish population, religious and social life remained closely connected. But others struggled against religion and tradition and advocated a new definition of Jewish society. Because of the Haskalah, modernity was seen as a real challenge by the Jewish minority. It raised many burning questions: Adherence to or loss of traditional ways of life, decisions for or against “emancipation” and “assimilation” (and would not the former lead automatically to the latter? ), as well as the question of adapting religion and religious practices to the modernization of society. The Jewish community had to choose a form of integration. Since in France and Germany the Jewish population was a small minority, but in Central and Eastern Europe constituted a rather large minority, the Haskalah had to pass through various forms and diverse stages in which its original teachings and practices underwent nuanced changes as they were adapted and revised. However, everywhere the goals of the proponents of the Haskalah were the same: to lead the Jews out of the religious ghetto, to integrate the Jewish world into the non-Jewish world and to bring separation to an end in favour of non-Jewish tendencies, customs and knowledge. The pre-requisites for such integration were modernisation and ending the centuries-old blending of religious and social life. The Haskalah pursued a double purpose: the enlightenment of Jews as human beings, and the enlightenment of Jews as Jews. The Jewish Enlightenment thinkers propagated a new relationship to the world, and to others, from now on, more heed should be paid to social reality and to improving the conditions of Jews in exile. Civil society’s discrimination against the Jewish minority was to be stopped. In this regard it was important to take the actual situation into account and to help improve the social life of the Jews so that they could become equal members of society; at the same time Judaism was to become more open to the world. Thus, the second part of the Haskalah’s programme aimed to bring about a new and modern religious and theological self-understanding. The Maskilim, the proponents of the Haskalah movement, criticised specific aspects of the religious tradition, especially those customs and rituals that stood in the way of Jewish social integration. Thus, the origin of the tensions between Orthodox and “enlightened” Jews lay in their thoughts on the importance and role of religion in modern Jewish society. 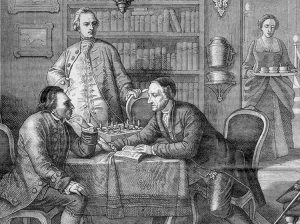 The Haskalah, with Moses Mendelssohn as its spokesman, is often thought to have been at the centre of the changes that took place by the mid-eighteenth century at the latest in Jewish life in Germany. It has been shown that the entire 18th century was characterized by a process of progressive acculturation, although traditionalism remained the model of reference.7 It is highly probable that this change would have taken place even without Mendelssohn, who for a long time was incorrectly regarded as the movement’s sole founder. However, other models must also be taken into account, for example that of Italian Jews (e.g. from Livorno) and of the Sephardim in Amsterdam who developed a particularly successful model based on integration and secular knowledge. One could also think of the Jews in Bordeaux and Hamburg whose active participation in local affairs was acknowledged and valued, and of the Jews who were accepted into Masonic lodges. Jews like the financiers, the purveyors to the German speaking courts, the makers of coins (“moneyers”), in short, all those who, in a manner of speaking, had taken fate into their own hands8 belonged to a “semi-neutral society”.9 From this developing stratum of society which was made up of educated people, for whom religion and class were of minor importance, the proponents of the Haskalah were soon to emerge. In 1749 Gotthold Ephraim Lessing (1729–1781) introduced the model of the enlightened Jew with his comedy Die Juden (The Jews), although he was fully aware that the model did not yet exist in real life. Some educated men, like Christian Konrad Wilhelm von Dohm (1751–1820), argued that if the Jews would be treated justly, they would become useful citizens (Über die bürgerliche Verbesserung der Juden/Concerning the Amelioration of the Civil Status of the Jews [1781/1783]).12 He pointed out that the often criticised moral corruption of the Jews was not the result of their religion but of the oppression they suffered.13 Dohm’s work, which was based on the one hand on the economic theories of early Liberalism, and on the other, on the humanitarian ideals of the Enlightenment, was written in order to bring about the “profitable” integration of Jews into the economic life of the state through the repeal of the exceptional laws to which, up to that time, the Jews had been subjected in all Christian countries. In the Habsburg Empire, where the biggest communities of traditional Jews lived, the Enlightened monarch Joseph II (1741–1790) took measures to make the Jews “useful citizens” and to integrate them into society. A look at the laws passed under his rule (particularly the 1782 Edict of Tolerance) clearly reveals this intention. However, at the same time, the laws passed in Vienna called into question the autonomy of the Jewish community. The period of reforms under Joseph II was followed by a reactionary period under Francis II (1768–1835). Since the German language and culture was an element connecting the multicultural empire, new laws were passed to Germanize the Jews with the intention of using them, in turn, as an instrument of Germanizing the empire’s various non-germanic peoples. As a result, the school system became the major challenge for the Habsburg policies regarding the Jews. Moses Mendelssohn played a leading role in formulating the concept of Enlightenment. Already during his lifetime he was referred to as a “Jewish philosopher”. However, it would be incorrect to call him a philosopher of Judaism for he only occasionally philosophised on Judaism: in 1770 during the Lavater affair and its aftermath,14 in his preface to the work Rettung der Juden (Vindiciae Judaeorum, London 1656) written by the Amsterdam Rabbi Manasseh ben Israel (1604–1657), in his work Jerusalem oder über religiöse Macht und Judentum (Jerusalem: Or on Religious Power and Judaism, 1783), in his dispute with Johann David Michaelis (1717–1791), an orientalist and Protestant theologian at the University of Göttingen, and in his discussion with Johann Georg Hamann (1730–1788), a critic of the Enlightenment, and so-called “Magus of the North”. However, these sketches of Judaism can be seen as intended for Christians rather than for Jews.15 Mendelssohn was regarded as a positive example by those who affirmed integration, but as a negative example by those who, despite all the objective historical factors working against it, refused to abandon Jewish isolation. Among Mendelssohn’s priorities was the struggle against what he called “jargon”: Yiddish. He viewed it as a mixture of crude and corrupt German and Hebrew and denounced it as the instrument and symbol of obscurantism. As a result of Mendelssohn’s critique the language question was taken up by others, for example in the comedy Reb Henoch oder: Woß tut me damit (Reb Henoch or What Will We Do With It?, 1797)16 by Isaac Euchel (1756–1804) and in Leichtsinn und Froemmelei (Levity and Sanctimony, 1796) by Aaron Wolffsohn (1754–1835), which parodied and ridiculed the customs and language of Jews living in rural districts. In this context Mendelssohn published between 1780 and 1782 a German translation of the Pentateuch in transliterated Hebrew and added the so-called Biur, essentially a grammatical commentary in which he defended his translation and explained its relationship to the exegetical tradition. This edition of the Pentateuch, which traditionalists at first opposed, was of no small importance; it helped an entire generation of Jews to master German (there were 20 editions in the space of 71 years, always in Hebrew letters, which indicated the existence of a broad consensus – albeit only in German speaking lands). In this way Mendelssohn became the representative of a new direction in Judaism for a broader public: it was he who first raised the question concerning the complete or partial validity of the tradition. One of the important points of controversy that the Maskilim had to deal with was the binding nature of the Halakha (the moral and religious commandments and prohibitions of the Jewish tradition) for an enlightened Jew, as the departure from the tradition often led to a break with it.17 These religious questions were of interest to the Jewish public until the 1870s. At the heart of the matter was the question of the relationship of religion to secular culture and science. In this regard supporters of the Haskalah pointed to the philosophy of the medieval Jewish thinker Moses Maimonides (1138–1204) who in his Guide for the Perplexed (end of the 12th century) had sought to reconcile Judaism with reason and with the study of the natural sciences. The aim was to demonstrate the ability of the Jews to improve their own customs and to re-interpret Jewish religion and culture. In his attempt to improve the condition of the Jews, acted as advisor to Dohm when the latter was writing his influential essay and took an active part in the controversy that ensued upon its publication. In 1783 Mendelssohn published Jerusalem: Or on Religious Power and Judaismwhich should not be seen as a philosophy of Judaism but a political treatise.18 In this work Mendelssohn addressed both Jews and Christians: he wanted to demonstrate to the former that if they wanted to be faithful Jews all they had to do was adhere to the ritual commandments of their own free will, from which it followed that there is no justification for religious compulsion. To the latter he wanted to show that Judaism acknowledges no religious power, and that, therefore, Jews could and should be regarded as equals and as equally valuable members of civil society. The programme of the Maskilim also called for a reform the Jewish education system that had previously been the responsibility of Polish Talmudists and Rabbis. 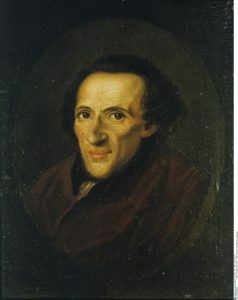 The elite around Mendelssohn19 whose members, like David Friedländer (1750–1834), Saul Ascher (1767–1822) and Lazarus Bendavid (1762–1832),20 had been recruited from the ranks of the prosperous and progressive-minded Jews in Berlin, waged a resolute and efficient campaign for a new kind of school. In 1778 Friedländer, with the support of his brother-in-law Isaac Daniel Itzig (1750–1806), founded the Berliner Freischule (Berlin Free School), the first modern Jewish educational institution based on the idea of secular education. The school was primarily intended for children of the lower social classes who had to pay no fees. The aim of the Freischule was to teach useful knowledge and skills (especially foreign languages and natural sciences) that would help the children develop into “virtuous citizens and loyal subjects of the state”. Particularly noteworthy is the fact that the school taught Hebrew grammar, which was a novelty and therefore provoked a storm of indignation from Orthodox Jews. With his educational treatise, Divrei shalom ve-emet (Words of Peace and Truth), which appeared in the original Hebrew and in a German translation in 1782, Naphtali Herz (Hartwig) Wessely (1725–1805) , Mendelssohn’s associate in writing the Biur, emerged as the Haskalah’s spokesman for Jews in the Habsburg Empire, who he exhorted to comply with the reforms of Joseph II. In addition, Wessely was the most important Hebrew writer of his generation. He was primarily known for his poetry and, in this regard, we should note his verse epic, Shire Tif’eret (Songs of Glory, which began to appear in 1782); in a manner of speaking, a Jewish equivalent to Friedrich Gottlieb Klopstock’s (1724–1803) Messias. As early as 1789 the epic’s first four books appeared in a German translation, annotated and authorised by Wessely, under the title Die Moseide. In general the followers of the Haskalah showed a particular interest in the study of Biblical Hebrew and Modern Hebrew Literature and advocated introducing modern disciplines to replace the study of the Talmud. In Königsberg the members of the Gesellschaft hebräischer Literaturfreunde (Society of the Friends of Hebrew Literature), which had recently been founded with the cooperation of Isaac Abraham Euchel, began publishing a monthly journal in 1783, Ha-Me’assef (The Collector, 1783–1812; hence the name Me’assefim for the authors who published in this journal), in which biblical Hebrew was glorified. However, this radicalization of the discourse concerning the language issue appeared a bit strange to a readership that was rapidly integrating into German society and whose mastery of Hebrew was waning. In accord with this social development the first Haskalah journal in German soon appeared: Sulamith, eine Zeitschrift zur Beförderung der Kultur und Humanität unter der jüdischen Nation (Shulamite, A Journal for the Advancement of Culture and Humanity in the Jewish Nation, 1806–1848), edited by David Fränkel (1779–1865), the director of the Jewish school in Dessau, and by the teacher Joseph Wolf (1762–1826). It tried to mediate between tradition and assimilation. In the years following the publication of Mendelssohn’s translation of the Pentateuch, a radicalisation of Enlightenment tendencies took place in the Haskalah that in the end made Mendelssohn appear as a rather conservative figure in the movement. This phenomenon became even more pronounced after Mendelssohn’s death. In view of the Prussian government’s timid policy of emancipation (equality came only with Napoleon’s (1769–1821) conquests: 1808 in Westphalia and 1812 in Prussia), the Maskilim concentrated on the internal Jewish discourse. Whereas Mendelssohn had attributed the character of revelation to the entire Biblical and Talmudic tradition, including ceremonial laws, and declared them binding for all Jews, his younger followers approached the religious traditions with the instruments of rational and historical criticism. The second generation of Enlightenment thinkers demonstrated a tendency towards radical deism. A good example is David Friedländer who translated the prayer book (Siddur) into German in 1786. He also endeavoured to reform the liturgy by removing the songs and prayers that called for the return to Zion. 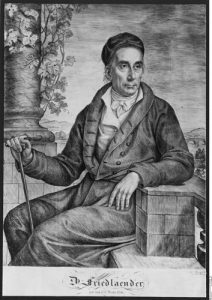 By 1799 his reform efforts even led him to offer his official conversion to Christianity to the Protestant Chief Consistorial Councillor Wilhelm Abraham Teller (1734–1804) (under the condition, however, that he would not have to profess faith in Christ). He also campaigned to introduce organ music into the divine service and to hold the Sabbath sermon in German. These radical positions cost him the trust of community leaders. Great intellectual adventures, which are undoubtedly the result of the Berlin Haskalah, shaped the 19th century. Despite many differences they shared common characteristics: the rejection of any notion of a return to the ghetto and the striving for a reformation of Jewish identity, which also included a dialogue with the non-Jewish society. The younger generation of Jews that had been influenced by the Sturm und Drang movement and raised in the spirit of Romanticism began a systematic and critical research into their historical and cultural heritage. Thus, in 1819, at the initiative of Leopold Zunz (1794–1886) the Verein für Cultur und Wissenschaft der Juden (The Society for the Culture and Science of the Jews) was founded in Berlin.21 In 1854 the Jewish Theological Seminary was established in Breslau. It was headed by Zacharias Frankel (1801–1875) and became an important training centre of Conservative Judaism. During a second wave the Haskalah reached Eastern Europe. Many of the Jews who were more or less respected in the Berlin circles,27 left the Prussian capital to return to their homelands, driven by a sort of messianic enthusiasm. Many of them, like Salomon Maimon (1753–1800), Mendl Lefin Satanover (1749–1826) and Solomon Dubno (1738–1813), were followers of Mendelssohn. However, the German Jews’ burning desire to integrate into the German majority society led to the demise of the Berlin Haskalah and shifted the centre of the Maskilim’s work to the East (and to a lesser extent to the Habsburg Empire’s Italian provinces). The situation in Eastern Europe – including Hungary28 – was entirely different from the situation in Central and Western Europe. For the Maskilim the scope for action was much more restricted: On the one hand there was no active support on the part of state authorities or non-Jewish intellectuals, on the other hand, for decades the growing movement of Hasidic Judaism had offered an alternative to integration. However, this adverse situation actually prolonged the life of the Haskalah in the East by preventing rapid and effective assimilation. The spread of the Haskalah into regions in which the Jewish population made up a substantial minority followed no particular pattern. Although it was the intention of the Haskalah to reach the entire people, in practice the Maskilim approached only to those who had already demonstrated a certain amount of interest in secular affairs. Indications of this can be found in the larger cities and commercial centres such as Tarnopol, Brody, Zamość, Shklov, Lviv or Odessawhere the adoption of European habits and the oral and written mastery of Western languages was a question of survival for Jewish traders. In any case the founding of Maskilim groups was more easily accomplished in places where the political authorities had already made provisions for a change in the Jews’ conditions. Here the concept of “Haskalah” fuelled the same debates that it had in Western Europe, but now the opposing positions and attitudes were more pronounced. The goals of the movement, which continued to draw heavily on the philosophy of the German Enlightenment, were to spread the new ideas among the Jews and, at the same time, to strengthen the Jews’ love of their own culture. On the one hand they campaigned in the name of reason and the ideal of fraternity for political equality, for improving the living conditions of the masses, and for developing a new culture; on the other hand they emphasised the importance of the Bible and the beauty and purity of the Hebrew language. The battle was waged on various fronts. As in Western Europe concrete measures were proposed that were intended to demonstrate the desire to integrate and to eliminate the obstacles that blocked entrance into non-Jewish society: The European style of dress was to be adopted, Yiddish and Jewish first names were to be dropped, and the Halakha was to be interpreted less rigorously. However, the will to contribute to the triumph of a new ideology based on reason, tolerance and freedom of thought led some Maskilim to engage in extreme and aggressive forms of confrontation.31 In the East their efforts often took on the features of a cultural war whose main weapon was a propaganda literature that created enduring stereotypes and which also included false accusations and denouncing the opponent to the governing powers. The bitter struggle of the Maskilim aimed at undermining Hasidic authority and at depriving the rebbes of their legitimacy. On the other hand, as the century advanced, some members of the Maskilim, who were reviled as apikorsim, heretics, by Hasidic Jews, became victims of religious fanatics: often their careers in the community administration were ruined.32 Similar tensions characterised the relationship between Reform Jews and Orthodox Jews as an extreme case illustrates: in 1848 an Orthodox fanatic murdered the Lviv Reform Rabbi by poisoning him. This struggle broke out at a time when the Jewish community’s cultural structure had already been changed by the development of new means of communication. And, indeed, the polemics between the Maskilim and the Hasidic Jews were often conducted in the most important modern media: newspapers, magazines, theatres and books. 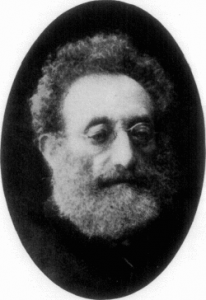 Alexander Tsederbaum’s (1816–1893) journal Kol Mevaser (The Proclaiming Voice, Odessa 1862–1870), published some of the most famous anti-Hasidic novels, written by the younger generation of Jewish writers that included Israel Aksenfeld (1787–1866) (Dos Shterntikhl, 1861) and Isaac Joel Linetzky (1839–1915) (Dos poylishe yingl, 1869). The most interesting aspect of the anti-Hasidic texts is the ambivalent, ambiguous relationship of the authors with this “sect”.39 On the one hand all aspects of Hasidic doctrine and its way of life were denounced, on the other hand a strange mixture of attraction and repulsion, if not outright fascination for Hasidism can also be observed. Frequently, the Maskilim were deeply moved by the beauty of Hasidic stories. Many texts show a great knowledge of the subtleties of the Hasidic masters, for, in order to demask Hasidism, one had first to master the Hasidic sources and understand the movement’s teachings. Examples can be found in Joseph Perl’s (1773–1839) parodies of the collection of legends concerning the founder of Hasidism, (In Praise of Baal Shem Tov), and of the history of Rabbi Nahman of Bratslav (1772–1810). Nor can the writers of the Haskalah who drew generously on the traditional texts be accused of breaking with tradition but only of having subverted it. They experimented with the modern means of writing and treated the Jewish past critically. From this ambivalent approach a discrepancy grew between their discourse and the sources of the Jewish tradition which left room not only for new themes, but also for a new style of writing, and the aesthetic that went with it. The language question is a good example for just how broad the spectrum of views was. While some chose the language of the majority (German, Russian or Polish), others defended Jewish particularity by choosing the languages of the Jews, and thus spoke Hebrew or Yiddish – which Mendelssohn had denounced as “jargon”. The further the movement grew away from its German source, the more it developed ties to the Hebrew language, in which the Maskilim of Eastern Europe were able to express their ideas much more elegantly than they could in German. In this way the peculiarity of the Eastern Haskalah emerged. Although the enriched and modernized Biblical Hebrew became the treasure of the Jewish enlightenment thinkers in Galicia and Russian it was not understood by the Yiddish speaking masses of Eastern Europe. The notion of systematically using Hebrew was contrary to the ambition of winning the entire Jewish people for the modern ideas. And, sure enough, in the course of time, more and more Maskilim began using Yiddish in order to ensure the spread of their programme, a prerequisite of which was a modernization of the language of the common people. The history of the epistolary novel Megale temirin (Revealer of Secrets, 1819) by Joseph Perl, the great classic of Haskalah literature, which was reprinted many times, illustrates the conditions of creation and reception under which the Haskalah writers worked. The book was originally written in Hebrew. But since the majority of the potential readers had not mastered the holy language the work was a failure. The author therefore decided to translate it into Yiddish, although the translation was first published after his death. Galicia which was annexed by the Habsburg Empire in two stages (1772 and 1793) was the Empire’s least Germanized province. Yiddish was the mother tongue of the vast majority of Galician Jews. Although the reforms introduced by Joseph II facilitated the realization of the Maskilim’s tasks, Galicia was also a stronghold of Hasidism and traditional Judaism. On the other hand, as early as the end of the 18th century one can speak of Mendelssohn’s movement taking root – in a small way – in Galicia. However, efforts to popularize the new ideas via a modern school system or via a reformed form of worship met with little success. In general, the Maskilim’s reforms were counted among the many evils that had ensued in the wake of the successive partitions of Poland; especially when they were imposed upon the Jews with the zeal of a Herz Homberg (1749–1841), the unloved (if not hated) superintendent of the German language schools in Galicia and the official censor for Jewish books. 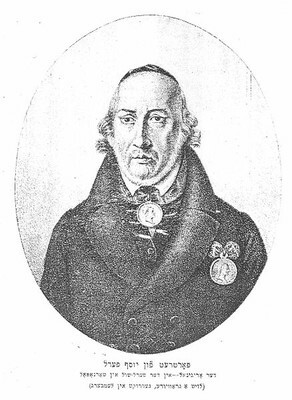 A pivotal role was played by Nachman Krochmal (1785–1840) who fast succeeded in assembling a group of supporters in Zhovkva. Its members included Solomon Judah Leib Rapoport (known under the acronym “Shir”, 1790–1867), Joseph Perl, Yehuda Leib Mieses (1798–1831), Samson Bloch (1784–1845), Joshua Heschel Schorr (1818–1895), Zevi Hirsch Chajes (1805–1855) and Isaac Erter (1792–1851). In 1806 the Austrian regime closed the schools that the first Maskilim had opened. Despite this, in 1815, Joseph Perl succeeded in opening the first of a series of German language schools in Tarnopol. Because of his tireless activity a reformed worship service was also introduced in Galicia. The establishment of schools and teaching seminaries was an important focus of the Maskilim’s programme. The financial support of rich bankers and factory owners, and the improvement of the political situation, made it possible to create a regular network of secular schools whose graduates hoped for a career in the imperial administration. If in the beginning the primary emphasis had been placed on learning German, gradually, and depending on the region, Polish began to compete with German. That Galicia is regarded as an important stage in the development of the Haskalah is primarily due to the richness of the literary and journalistic creativity that developed there; and this, in turn, points to the fact that the Haskalah took firm roots in Eastern Europe, while in Western Europe it constituted only a transitional phase. Influenced by various contemporary currents of thought (Romanticism, Hegelianism, Rationalism) a peculiar critique of the tradition developed. The main proponents were Rabbi Solomon Judah Leib Rapoport and the philosopher Nachman Krochmal, and its theses were propagated in periodicals like Bikkurey Ha-ittim (First Fruits of the Times, 1820–1831), Kerem Hemed (Delightful Vineyard, 1833–1856) and Isaac Erter’s He-Haluz(The Pioneer, 1852–1889). The synthesis of Judaism that Nachman Krochmal offered in his posthumously published work Moreh nevukhei ha-zeman (Guide for the Perplexed of the Time, 1851),42 was very different from the efforts of the Mendelssohn circle. Krochmal, who was regarded as the “Galician Mendelssohn” by Zunz,43 rejected every form of assimilation and attempted to demonstrate the uniqueness of the Jewish tradition and its enduring nature. He was a pioneer of the critical studies of Jewish history and his work accompanied students of the Jewish sciences throughout the 19th century. 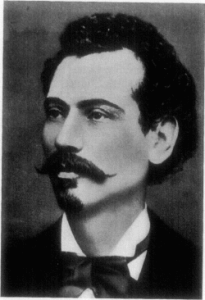 The Galician Haskalah can also take pride in the poet Meir Letteris (1807–1871) and in Joseph Perl and Isaac Erter who wrote novels and short stories. Joseph Perl attacked Hasidism with a fanatical and often simplifying vehemence that distorted its principles.45 He described the mystical current as a religious epidemic, a kind of mystical pathology that stood in opposition to the fundamental principles of Jewish religion. In his fictional works, which undoubtedly rank among the most successful works of literature that the Haskalah produced, Perl drew on arguments that he had already developed in his political writings. His most famous work is the story Megale temirin (Revealer of Secrets),46 published in Vienna in 1819; it was followed by the Bohen tsaddik (The Test of the Righteous) and by parodies of Hasidic fairy tales and stories. During the Russian stage of the movement the work begun by Moses Mendelssohn was completed and its shortcomings revealed. For here an insurmountable obstacle arose: the milieu into which, according to the Maskilim, the Jews should integrate was characterised by Antisemitism. The penetration of the Jewish Enlightenment into Russia was made possible by the efforts of travellers, subscribers to the journal Ha-Meassef, and Galician emigrants (after 1820). For the Russian Haskalah, the time of isolated advocates and widely separated Haskalah-Centres, in which the first Maskilim were supported by wealthy businessmen like Mendel Lefin Satanover, Solomon Dubno or Aaron Mordecai Guenzburg (1795–1846), was succeeded by a period of activism that corresponded more or less to the last years of the reign of Nicholas I (1796–1855). The challenges the movement faced were primarily economic and social; they mainly concerned educational not religious issues. The learning of foreign languages was often regarded as the first step towards an enlightened life and helped to satisfy the desire for secular knowledge. 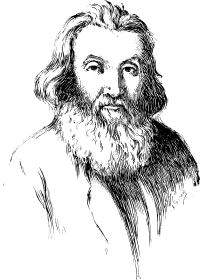 The spokesman of the Russian or Volhynian (in modern day north-west Ukraine) Haskalah was Isaac Baer Levinsohn (1788–1860), who in his work Te’udah be-Yisrael (A testimony in Israel, Vilna, 1828) set out a programme of reform for the educational system and the community’s structure. The Maskilim’s largest school, and with the most diverse curriculum, was in Lithuania. It is especially noteworthy that here the enlightened forces could build on an older tradition that was in harmony with modern ideas, especially with the principle of the rational exploration of Judaism. This had been the achievement of the Gaon of Vilnius (and his successors), who had introduced the study of Hebrew grammar, and the study of the secular sciences that were a pre-requisite for understanding the Talmud, and who had supported the translation of scientific works into Hebrew. Also noteworthy are Aaron Mordecai Guenzburg, the translator Kalman Schulman (1819–1899), and the three prominent writers Abraham Dov Lebensohn (“Adam Ha-Cohen”, 1794–1878), his son Micah Joseph Lebensohn (known under the acronym “Mikhal”, 1828–1852), and Judah Leib Gordon (acronym: “Yalag”, 1830–1892). The exceptional talent of Abraham Mapu (1808–1867), the father of the Modern Hebrew novel, lent the Russian Haskalah an incomparable splendour. However, in this regard, the relationship to Yiddish was more ambivalent than ever: Despite its shortcomings the language of the people became more and more essential for the Maskilim who wanted to reach a public that extended beyond their peers. This explains the success of, for example, Mendele Moykher Sforim (1836–1917), a master of the Hebrew language, who also wrote in Yiddish and in doing so became the first classical author of modern Yiddish literature. The Jewish population was so densely concentrated in these areas that the attack on traditional institutions and community leaders had to be carried out with great vigour. The schools became the targets of this struggle, although in retrospect the results were rather meagre. The Maskilim looked to the German and Galician models. Thus in 1822 a school was opened in Uman in the Ukraine, and in 1826 another followed in Odessa – both based on the school that Perl had established in Ternopol. In this area private and public efforts existed side by side. 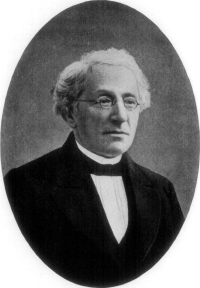 Max Lilienthal (1815–1882) and Count Sergei Uvarov (1786–1855) are good examples of such interaction: the German speaking Rabbi from Riga was officially commissioned by the Minister for Education (1833–1849) to promote a secular school system in the largest Jewish communities. This commission led to a public debate. Finally, in 1844, a law was passed that opened the state schools to Jews. And, in 1847, two famous rabbinical seminaries were opened, one in Zhitomir and one in Vilna. Many Maskilim now became civil servants. The reforms of Alexander II (1818–1881) consolidated their position, and their presence in key areas lent them social importance. Thus the success of the Haskalah became visible. The movement’s theses were published in various languages in such journals as Ha-melits, Ha-tsefirah, Ha-Maggid (Hebrew), Kol mevaser (Yiddish), Dien and Voskhod (Russian), Jutrzenka then Izraelita (Polish) and supported by the Gesellschaft zur Verbreitung für Aufklärung unter den Juden in Russland (Society for the Spreading of the Enlightenment among Jews in Russia) which was founded in 1863. This society was one of the greatest achievements of the Russian Haskalah, for it made the development of Modern Hebrew Literature possible. The opening of Russian schools to Jewish children in 1844 compelled the Maskilim to establish new schools in order to rescue Hebrew language studies. They introduced a reformed Cheder (a traditional school for Jewish boys) – the Cheder metukkan, which prefigured the network of Zionist schools. Although the need for secular education was now generally acknowledged, each group tried to consolidate its own network of schools in order to protect its own values. The goals of the Maskilim were partially or fully realized also in the Russian territories, including such phenomena as Russification or Polonisation and excessive secularisation. The process of maturing and deepening, which the movement underwent during the entire 19th century, was the reason for the severity with which it was judged, both by external critics as well as by its own disappointed supporters: for the Zionists it was too assimilationist, for the various labour movements it was too bourgeois and subaltern, for the advocates of Jewish autonomy in exile it was too Russian, and for the lovers of the Hebrew language it was too artificial. See Sylvie-Anne Goldberg’s works, especially La Clepsydre 2000. Cf. Zürn, Die jüdische Gemeinde 2002. Cf. Wolff, Medizinische Kompetenz 2002. Cf. Delmaire, La Haskalah 1994, p. 152. Cf. Schochat, Ursprung der jüdischen Aufklärung 2000. In German speaking areas some Jews achieved the status of court Jews, or court factors. Although, as far as chronology goes, they appear to be pioneers of the Jewish Enlightenment, their role should not be overestimated. Scholars agree that the majority of court Jews, especially in Southern Germany, generally had the effect of stabilizing the tradition. It has become apparent that they came to the aid of their brothers in faith only occasionally, and then as mediators or as community leaders in the traditional manner of the Shtadlan, the institutionalized spokesman of Jews for Jews. Cf. Ries, Hofjuden als Vorreiter? 2002. Cf. Katz, Aus dem Ghetto 1986 (Chapter 4, Die halbneutrale Gesellschaft). Cf. Katz, Mendelssohns schwankendes Bild 1994, p. 350. Cf. Lowenstein, The Social Dynamics 1994. Dohm, Über die bürgerliche Verbesserung 1781/1783. For France see Abbé Grégoire’s (1750–1831) position in regard to this question. The Swiss preacher Johann Caspar Lavater (1741–1801) publically challenged Mendelssohn either to refute Christianity or to convert to Christianity. Cf. Niewöhner, Mendelssohn als Philosoph 1994, p. 292. Isaac Euchel, Reb Henoch 2004. Lohmann, Interkulturalität als Strategie, without date. Cf. Niewöhner, Mendelssohn als Philosoph 1994, p. 299. The fifth volume of the series Jüdische Bildungsgeschichte in Deutschland (Behm, Jüdische Aufklärung 2002) demonstrates convincingly the importance of the role of the collective in this area. To see which social strata supported Mendelssohn one only has to examine the subscriptions for the publication of his translation of the Bible. Cf. Lowenstein, The Social Dynamics 1994, p. 340. Adolph Jellinek (1821–1893) and Moritz Gudemann (1835–1918) developed the Austrian branch of the Wissenschaft des Judentums. On this topic, see Mosse, Jewish Emancipation 1985, and Bourel, Juifs d’ Allemagne 1994, pp. 178f. See the research and reflections presented in the project “Makom. Ort und Orte im Judentum” of the University of Potsdam. Online: http://www.geisteswissenschaften.fu-berlin.de/we03/forschung/forschungsprojekte/makom/index.html [18.04.2012]. Cf. Bourel, Juifs d’ Allemagne 1994, p. 179. On this topic, see Lowenstein, The Social Dynamics 1994, pp. 343–344; Bourel, Juifs d’ Allemagne 1994, p. 182. Cf. Hertz, Die jüdischen Salons 1991. See the instructive example of Salomon Maimon, a skilled Kantian and an exceptional Talmudist, whose uncultivated Eastern Jewish manners seem to have met with disfavour in the Berlin salons. According to Jacob Katz, however, Hungary was an exception as it skipped the phase of Enlightenment and, with the beginning of modernisation, entered directly in the age of reform and the resulting Orthodox opposition. Cf. Katz, Mendelssohns schwankendes Bild 1994, p. 359. Cf. Baumgarten, Naissance du hassidisme 2006, p. 171. On this complex issue, see Chapter 3, “Mitnaggedim, Maskilim et Hassidim ou l’enfantement du judaïsme moderne”, in: Baumgarten, Naissance du hassidisme 2006, pp. 107–202. Numerous examples and counter examples are given in Baumgarten, Naissance du hassidisme 2006, pp. 134–136, and Wodziński, Oświecenie żydowskie 2003, pp. 139–145. Cf. Baumgarten, Naissance du hassidisme 2006, p. 158. Cf. Wodziński, Oświecenie żydowskie 2003, pp. 121–127. Cf. Baumgarten, Naissance du hassidisme 2006, p. 163. See Bergman, Autobiography 1954, pp. 166–179. Cf. Baumgarten, Naissance du hassidisme 2006, p. 183. Cf. Baumgarten, traduction de la Bible 1986, pp. 244–252. Shmeruk, Tsvishn khasides un haskole 1988, p. 291. Krochmal, Moreh nevukhei ha-zeman 1851. Cf. Zunz, Gesammelte Schriften 1976. Cf. Baumgarten, Les études juives 1994, pp. 385–386. Perl, Über das Wesen 1977.
idem, Revealer of Secrets 1997. For this issue, see Delmaire, La Haskalah 1994, pp. 164–166. Cf. Wodziński, Oświecenie żydowskie 2003, pp. 162–166. For Congress Poland, see ibidem, pp. 168–172. Cf. Barzilay, Smolenskin’s Polemic 1986, pp. 11–48. Cf. Katz, Mendelssohns schwankendes Bild 1994, p. 362. Albrecht, Michael et al. (eds. ): Moses Mendelssohn und die Kreise seiner Wirksamkeit, Tübingen 1994. Barsilay, Joshua: Art. “Wessely Naphtali Hartwig”, in: Encyclopaedia Judaica, Jerusalem 1971, vol. 16, col. 461–463. Barzilay, Isaac Eisenstein: Smolenskin’s Polemic against Mendelssohn in Historical Perspective, in: Proceedings of the American Academy for Jewish Research 53 (1986), pp. 11–48. Baumgarten, Jean: Les études juives en Europe orientale (histoire, ethnologie, linguistique), in: Jean Baumgarten et al. : Mille ans de cultures ashkénazes, Paris 1994, pp. 384–391. idem: La Naissance du hassidisme: Mystique, rituel et société (18e–19e siècle), Paris 2006.
idem: Une traduction de la Bible en yiddish, in: Yvon Belaval et al. : Le siècle des Lumières et la Bible, Paris 1986, pp. 237–252. Bechtel, Delphine: La Haskalah berlinoise, in: Jean Baumgarten et al. : Mille ans de cultures ashkénazes, Paris 1994, pp. 354–357. Behm, Britta et al. (eds. ): Jüdische Aufklärung und preußische Schulreform: Analysen zum späten 18. Jahrhundert und frühen 19. Jahrhundert, Münster et al. 2002. Bergman, Schmu’el Hugo (ed. ): The Autobiography of Solomon Maimon, London 1954. Bourel, Dominique: Juifs d’Allemagne, in: Jean Baumgarten et al. : Mille ans de cultures ashkénazes, Paris 1994, pp. 178–182. Breuer, Edward: Politics, Tradition, History: Rabbinic Judaism and the Eighteenth-Century Struggle for Civil Equality, in: Harvard Theological Review 85 (1992), pp. 357–383. Breuer, Mordechai: Orthodoxie et néo-orthodoxie, in: Jean Baumgarten et al. : Mille ans de cultures ashkénazes, Paris 1994, pp. 393–409. Delmaire, Jean-Marie: La Haskalah en Europe orientale: la pensée maskilique, les aspects sociaux et idéologiques, in: Jean Baumgarten et al. : Mille ans de cultures ashkénazes, Paris 1994, pp. 152–168. Dohm, Christian Konrad Wilhelm von: Über die bürgerliche Verbesserung der Juden (Teil 1, Berlin und Stettin bey Friedrich Nicolai 1781; Teil 2, id. 1783), online: http://www.ub.uni-bielefeld.de/diglib/dohm/ueber/ [18.04.2012]. Etkes, Emmanuel: The Gaon of Vilna and the Haskalah Movement: Image and Reality, in: Joseph Binah (ed. ): Studies in Jewish History, Thought, and Culture, New York et al. 1989, vol. 2, pp. 147–175. Euchel, Isaak: Reb Henoch oder: Woß tut me damit. Eine jüdische Komödie der Aufklärungszeit, ed. by Marion Aptroot et al., Hamburg 2004. Feiner, Shmuel: The Jewish Enlightenment, Philadelphia 2002.
idem: Haskala – Jüdische Aufklärung: Geschichte einer kulturellen Revolution, Hildesheim et al. 2007. Goldberg, Sylvie-Anne: La Clepsydre: Essai sur la pluralité des temps dans le judaïsme, Paris 2000. Graetz, Michael: Jüdische Aufklärung, in: Mordechai Breuer et al. : Deutsch-Jüdische Geschichte in der Neuzeit, Munich 1996, vol. 1: Tradition und Aufklärung, 1600–1780, pp. 251–355. Hertz, Deborah: Die jüdischen Salons im alten Berlin, Frankfurt am Main 1991. Herzig, Arno et al. (eds. ): Judentum und Aufklärung: Jüdisches Selbstverständnis in der bürgerlichen Öffentlichkeit, Göttingen 2002. Kaplan, Marion A.: The Making of the Jewish Middle Class: Women, Family, and Identity in Imperial Germany, New York et al. 1991. Katz, Jacob: Aus dem Ghetto in die bürgerliche Gesellschaft: Jüdische Emanzipation 1770–1870, Frankfurt am Main 1986.
idem: Moses Mendelssohns schwankendes Bild bei der jüdischen Nachwelt, in: Michael Albrecht et al. (eds. ): Moses Mendelssohn und die Kreise seiner Wirksamkeit, Tübingen 1994, pp. 349–362. Kocka, Jürgen (ed. ): Bürger und Bürgerlichkeit im 19. Jahrhundert, Göttingen 1987. Krochman, Nachmal: More nevukhe ha-zeman, Lviv 1851. Lässig, Simone: Jüdische Wege ins Bürgertum: Kulturelles Kapital und sozialer Aufstieg im 19. Jahrhundert, Göttingen 2004. Lederhendler, Eli: Modernity Without Emancipation or Assimilation? The Case of Russian Jewry, in: Jonathan Frankel et al. (eds. ): Assimilation and Community: The Jews in Nineteenth-Century Europe, Cambridge 1992, pp. 324–343. Lohmann, Ingrid: Interkulturalität als Strategie religiöser Reform und sozialen Aufstiegs: Jüdische Knaben- und Mädchenerziehung um 1800, online: http://www.erzwiss.uni-hamburg.de/personal/lohmann/jf/inter.htm [18.04.2012]. Lowenstein, Steven M.: The Berlin Jewish Community: Enlightenment, Family and Crisis, 1770–1830, New York et al. 1994.
idem: The Social Dynamics of Jewish Responses to Moses Mendelssohn (with Special Emphasis on the Mendelssohn Bible Translation and on the Berlin Jewish Community), in: Michael Albrecht et al. (eds. ): Moses Mendelssohn und die Kreise seiner Wirksamkeit, Tübingen 1994, pp. 333–348. Mendelssohn, Moses: Gesammelte Schriften: Jubiläumsausgabe, begonnen von Ismar Elbogen et al., Stuttgart-Bad Cannstatt 2009. Michael, Reuven: Art. “Juedische Freischule”, in: Encyclopaedia Judaica, Jerusalem 1971, vol. 10, col. 461–462. Mosse, George L.: Jewish Emancipation: Between Bildung and Respectability, in: Jehuda Reinharz et al. (eds. ): The Jewish Response to German Culture: From the Enlightenment to the Second World War, Hanover (Mass., USA), et al. 1985, pp. 1–16. Niewöhner, Friedrich: “Es hat nicht jeder das Zeug zu einem Spinoza”: Mendelssohn als Philosoph des Judentums, in: Michael Albrecht et al. (eds. ): Moses Mendelssohn und die Kreise seiner Wirksamkeit, Tübingen 1994, pp. 291–314. Pelli, Moshe: The Age of Haskalah: Studies in Hebrew Literature of the Enlightenment in Germany, Leiden 1979. Perl, Joseph: Revealer of Secrets: the First Hebrew Novel, ed. by Dov Taylor, Boulder 1997.
idem: Über das Wesen der Sekte Chassidim, ed. by A. Rubinstein, Jerusalem, Israel Academy of Sciences and Humanities 1977.
idem: When Did Haskalah Begin? Establishing the Beginning of Haskalah Literature and the Definition of “Modernism”, in: Leo Baeck Institute Year Book 44 (1999), pp. 55–96. Ries, Rotraud: Hofjuden als Vorreiter? Bedingungen und Kommunikationen, Gewinn und Verlust auf dem Weg in die Moderne, in: Arno Herzig et al. (eds. ): Judentum und Aufklärung: Jüdisches Selbstverständnis in der bürgerlichen Öffentlichkeit, Göttingen 2002, pp. 30–65. Rohde, Saskia: Synagogendiskussion: Architekten und die Modernisierung des Judentums, in: Arno Herzig et al. (eds. ): Judentum und Aufklärung: Jüdisches Selbstverständnis in der bürgerlichen Öffentlichkeit, Göttingen 2002, pp. 194–215. Schochat, Azriel: Art. “Haskalah”, in: Encyclopaedia Judaica, Jerusalem 1971, vol. 7, col. 1433–1445. idem: Der Ursprung der jüdischen Aufklärung in Deutschland, Frankfurt am Main 2000. Shmeruk, Chone: Tsvishn khsides un haskole, in: idem: Prokim fun der yidisher literatur-geshikhte, Tel-Aviv 1988, pp. 211–291. Sinkoff, Nancy: Tradition and Transition: Mendel Lefin of Satanów and the Beginnings of the Jewish Enlightenment in Eastern Europe, 1749–1826, Ann Arbor 1996. Sorkin, David: The Transformation of German Jewry, 1780–1840, New York et al. 1987. Sorkin, David et al. (eds. ): New Perspectives on the Haskalah, London et al. 2001. Taylor, Dov et al. (eds): Joseph Perl’s Revealer of Secrets, the First Hebrew Novel, Oxford et al. 1997. Volkov, Shulamit: Die Erfindung einer Tradition: Zur Entstehung des modernen Judentums in Deutschland, in: Historische Zeitschrift 253 (1991), pp. 603–628. Werses, Shmuel: Le Hassidisme au miroir de la littérature de la Haskalah, in: Jean Baumgarten et al. (eds. ): Le Yiddish, langue, culture, société, Paris 1999, pp. 65–95. Wodziński, Marcin: Oświecenie żydowskie w Królestwie Polskim wobec chasydyzmu, Warsaw 2003. Wolff Eberhard: Medizinische Kompetenz und talmudische Autorität: Jüdische Ärzte und Rabbiner als ungleiche Partner in der Debatte um die Beschneidungsreform zwischen 1830 und 1850, in: Arno Herzig et al. (eds. ): Judentum und Aufklärung: Jüdisches Selbstverständnis in der bürgerlichen Öffentlichkeit, Göttingen 2002, pp. 119–149. Zunz, Leopold: Gesammelte Schriften, 2. ed., Hildesheim et al. 1976, vol. 2. Zürn, Gabriele: Die jüdische Gemeinde Altona zwischen Tradition und Moderne: Aufklärung und Umgang mit dem Tod 1772–1875, in: Arno Herzig et al. (eds. ): Judentum und Aufklärung: Jüdisches Selbstverständnis in der bürgerlichen Öffentlichkeit, Göttingen 2002, pp. 91–118. This entry was posted in Enlightenment, History, Jewish, Jews, Judaism. Bookmark the permalink.